For years people have used vinegar as a health treatment and household cleaning agent. But did you know it can be used to help our fur friends too! 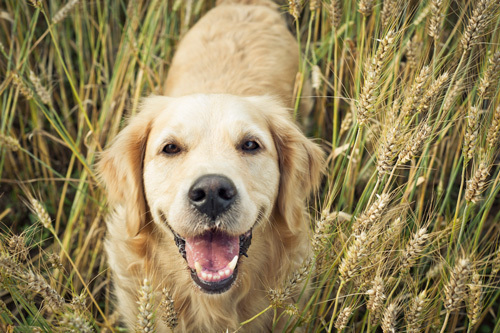 Keep reading to find out three simple ways apple cider vinegar can help your dog. After bathing your dog, brush the vinegar through their coat. It will improve the shine of your dog’s coat, act as a deodorant and help prevent dry skin and itchiness. Please note, don’t use if your dog’s skin is dry, broken, or otherwise irritated. The antibacterial properties of apple cider vinegar make it ideal to clean out a dog’s ears. It will help prevent infection and ward off parasites that are susceptible to the acid in apple cider vinegar. Soak a cotton ball or piece of clean cloth in the vinegar and gently wipe your dog’s ears. Putting apple cider vinegar in your dog’s water twice a week will help to improve their general health. Apple cider vinegar helps to keep the skin and fur healthy as well as helps keep fleas away. To feed your dog apple cider vinegar, just add a teaspoon to their water dish twice a week.